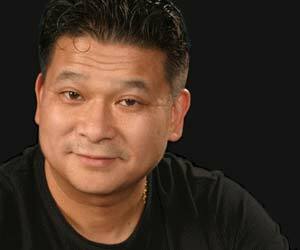 Johnny Chan is one of the most famous names in the poker world, having won back-to-back World Series of Poker Main Events in 1987 and 1988. Johnny Chan was born in Guangzhou, also known as Canton, China in 1957. His family moved to the United States, first to Phoenix, Arizona and then to Houston, Texas, where they owned restaurants. Johnny Chan worked at his family’s restaurant and found himself playing poker games one night. He became a regular at the game, and regularly won. However, the other players were upset about losing all their money to Johnny Chan and told him they were canceling the game. He returned out of curiosity on the next night the poker game would have been held, and he saw all of the usual cars parked outside. He was too good and had been kicked out of the game. Johnny Chan moved to Las Vegas, where he would win a lot of money and then lose it all. This cycle continued until he realized what was going wrong. He freed himself from all of his weaknesses, he quit smoking, he started exercising, he ate healthier food, and he started playing right. Johnny’s signature orange made its way to the table then, Johnny Chan used it to overpower the smell of the cigarettes. Johnny Chan rose to the top of the poker world when he won the 1987 World Series of Poker Main Event. He would go on to win it again in the 1988 World Series of Poker, with the heads-up match against Erik Seidel being immortalized by the movie “Rounders.” Jerry Buss, owner of the LA Lakers, then promised that he would give Johnny an NBA championship ring if he won the Main Event a third consecutive time. In 1989, Johnny Chan finished second at the Main Event, falling to Phil Hellmuth. To date, he has 10 World Series of Poker bracelets, the first coming in 1985, the last coming in 2005. No other poker player has won more WSOP bracelets, although Phil Hellmuth and the legendary Doyle Brunson also have 10 bracelets. Johnny Chan currently lives in Las Vegas, Nevada. He is an entrepreneur by nature, and has opened several businesses, including his own online poker room at chanpoker.com (shut down) and www.allinenergy.com (energy drinks for poker players).